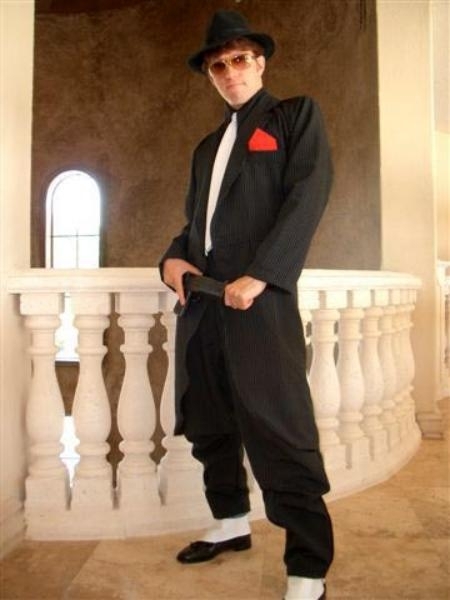 Zoot suits are nothing but men's suits with pegged trousers with wide leg and tight cuffs. 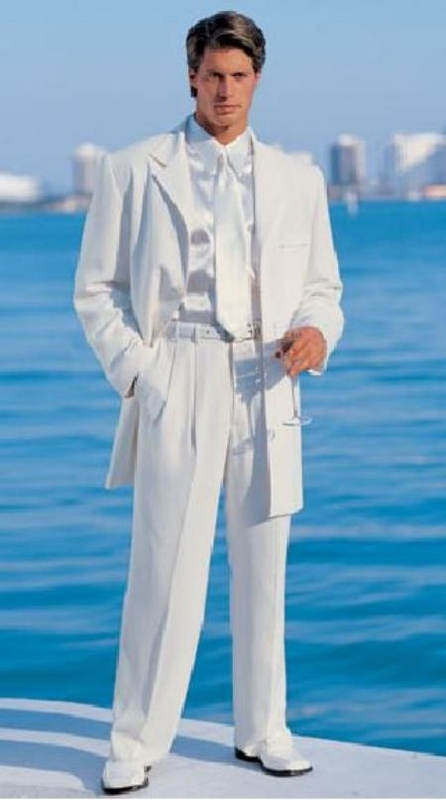 Those trousers are also called as tramas. 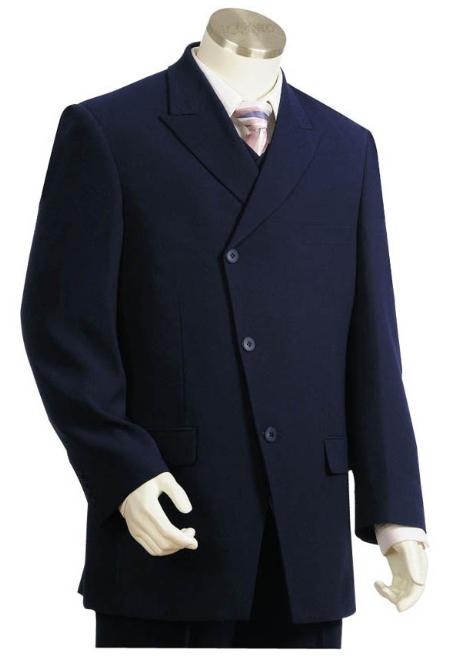 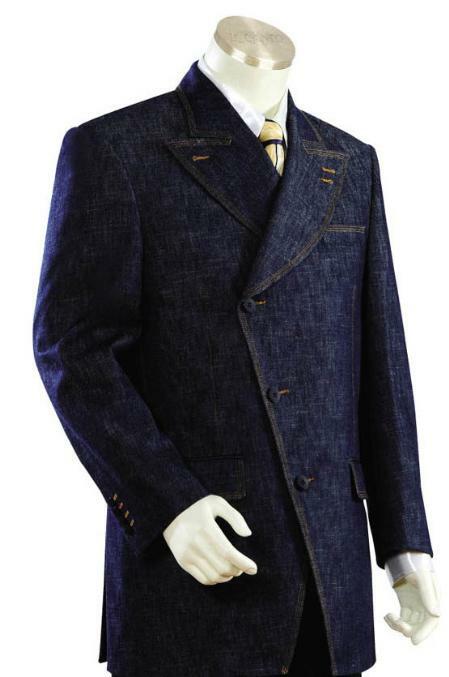 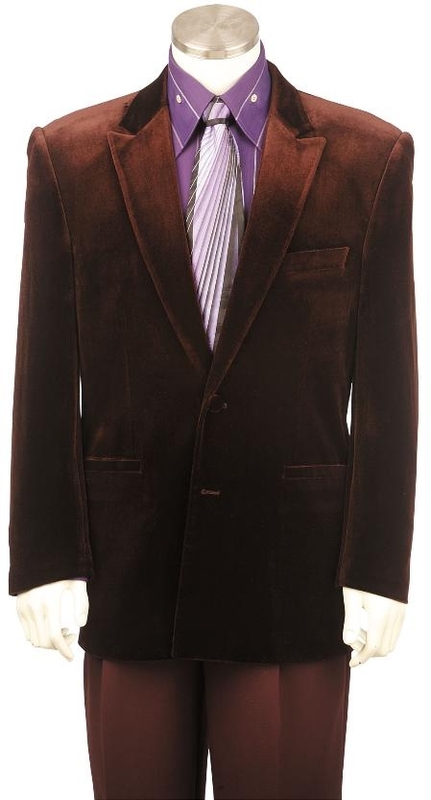 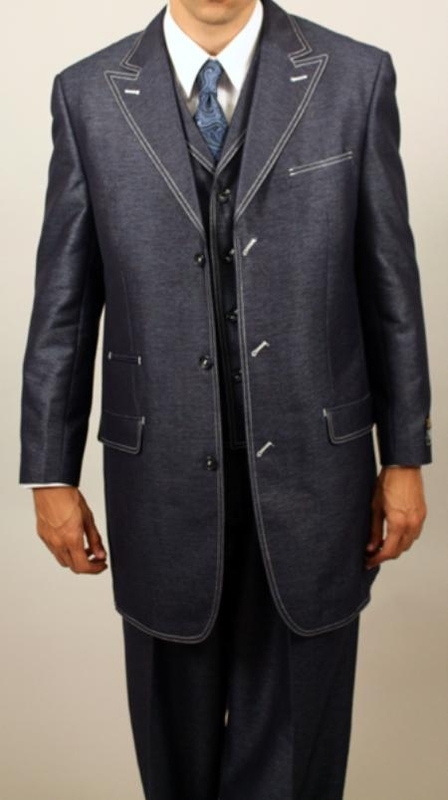 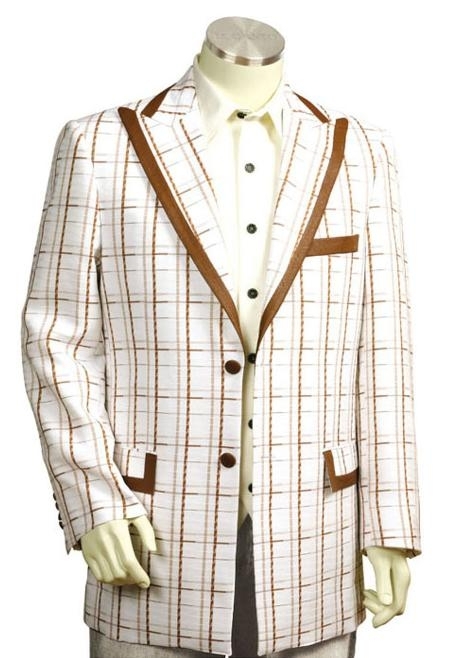 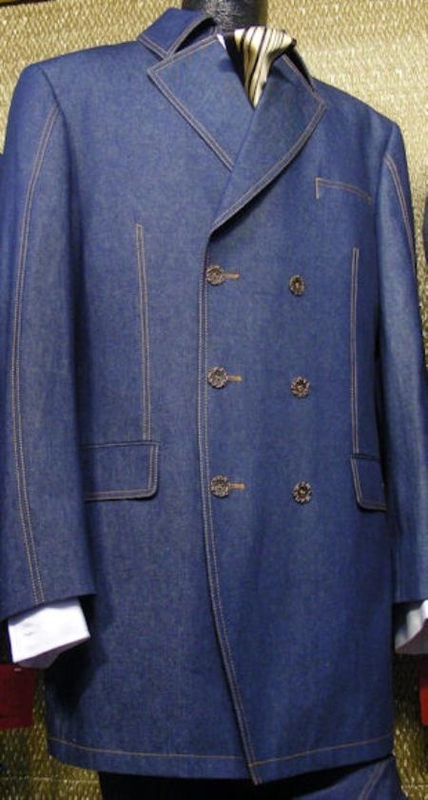 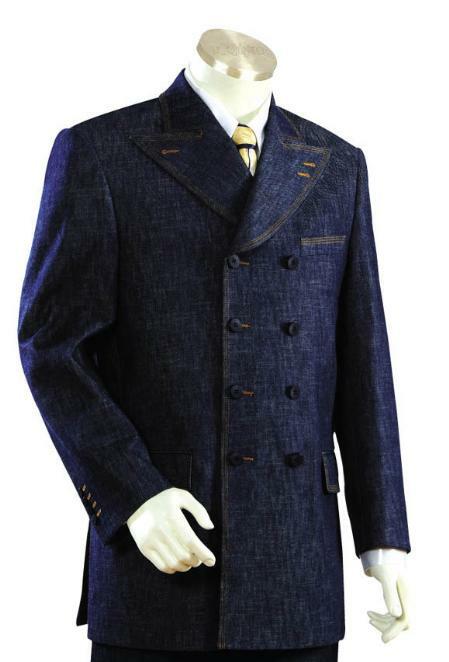 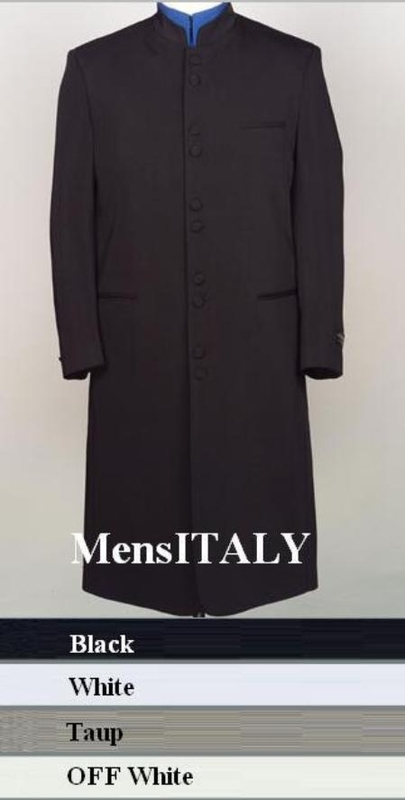 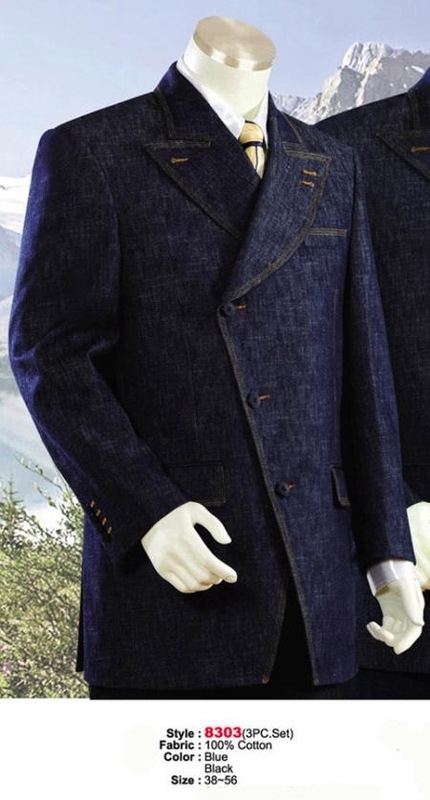 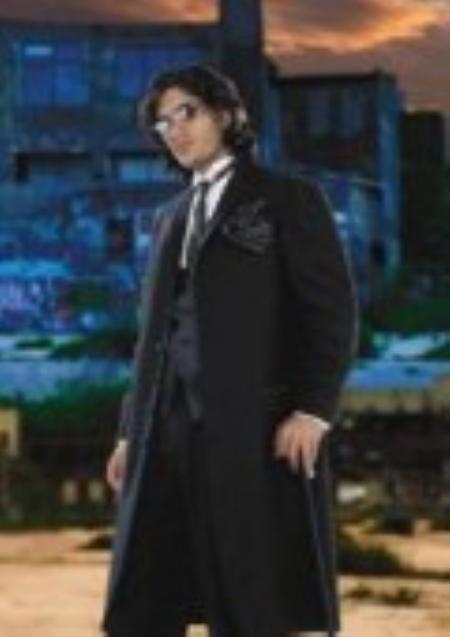 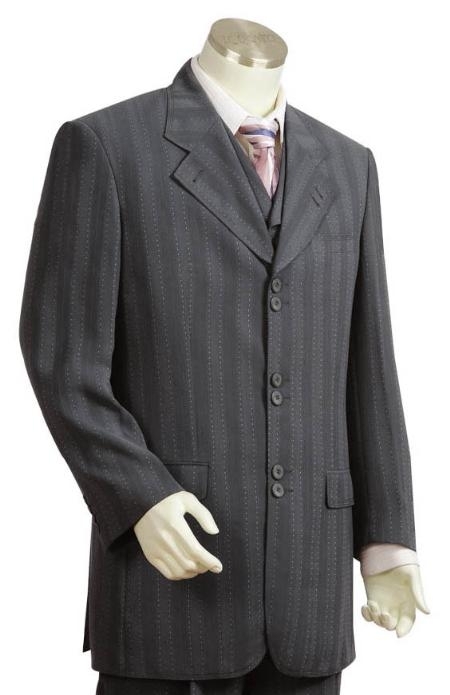 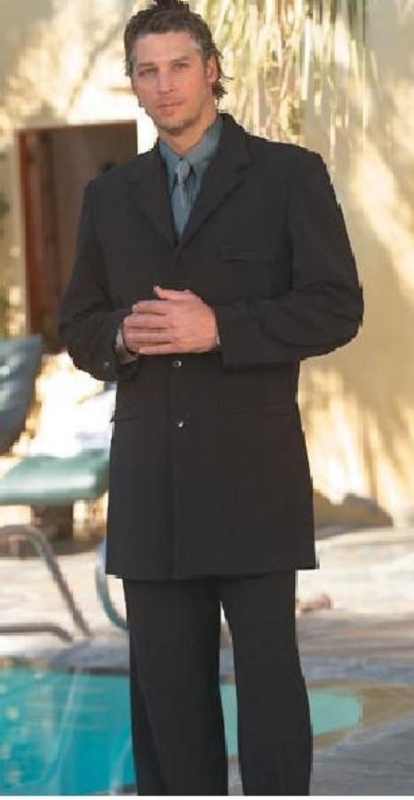 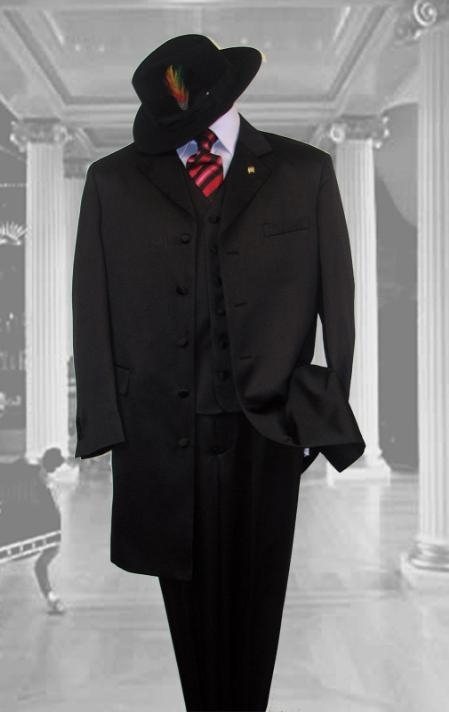 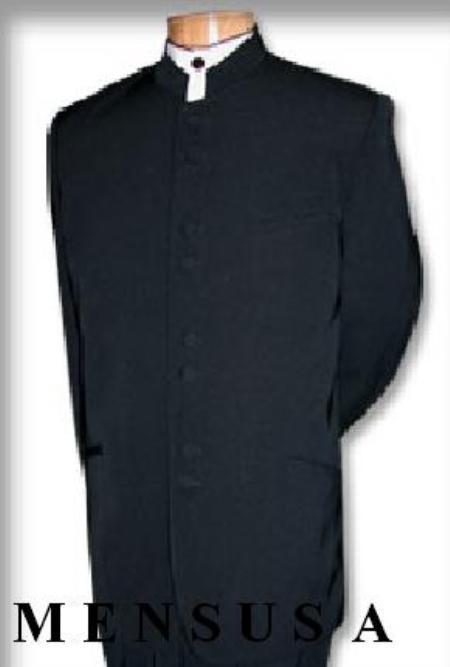 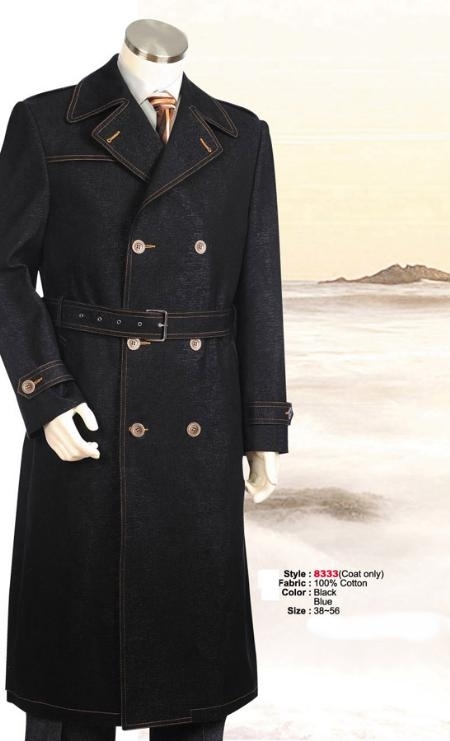 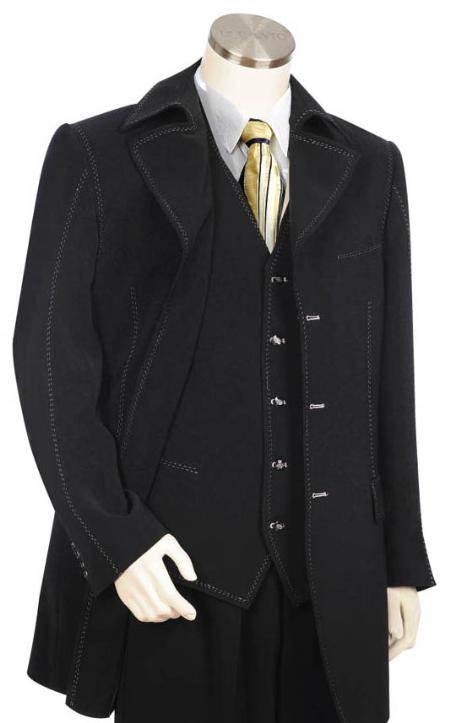 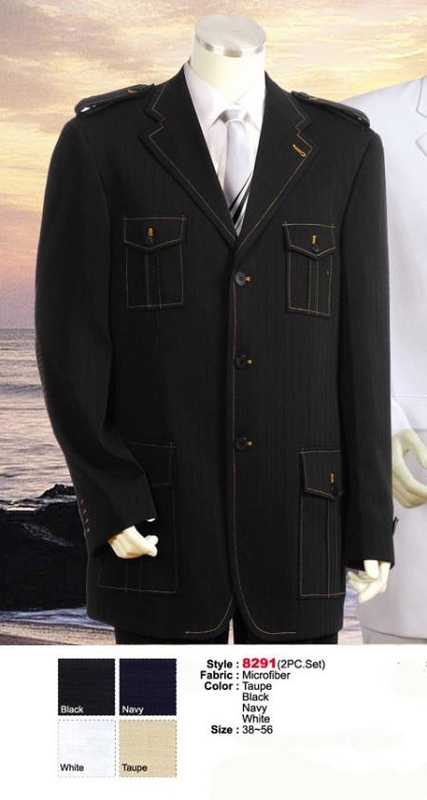 Other features are a long coat with broad lapels along with padded wide shoulders. 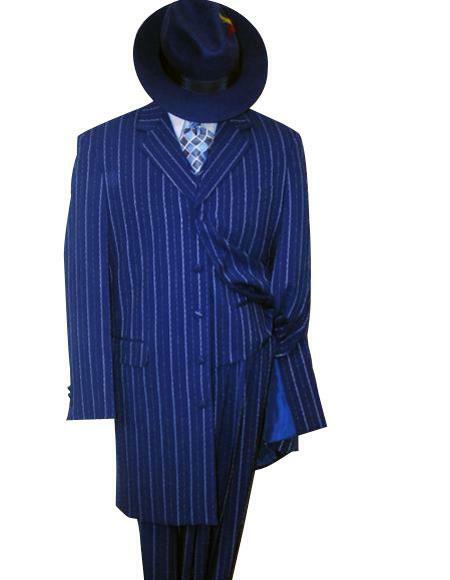 One point that we don't miss to see in the zoot suiters is the tapa (hats with feathers) and calcos (French shoes that are pointed). 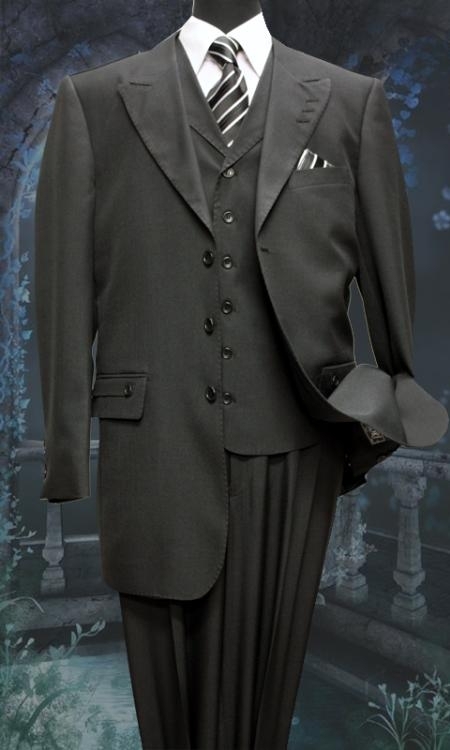 These suits which gained popularity in the early 1930s as a cool and casual suit, soon turned to gain much more fame in Los Angeles community. 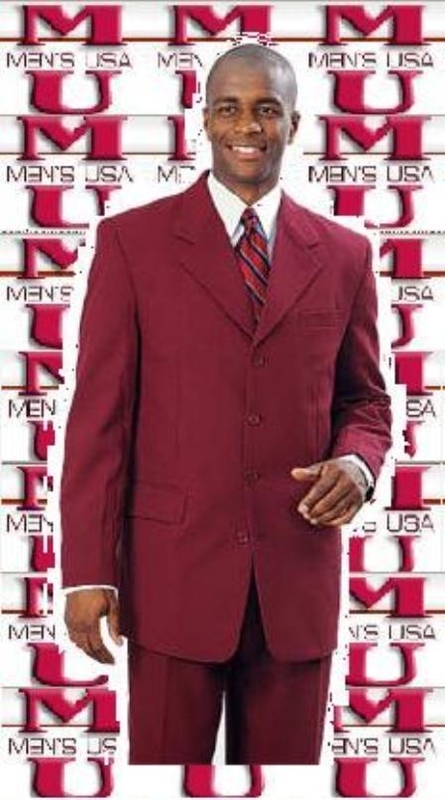 After this it took good place in the world of suits. 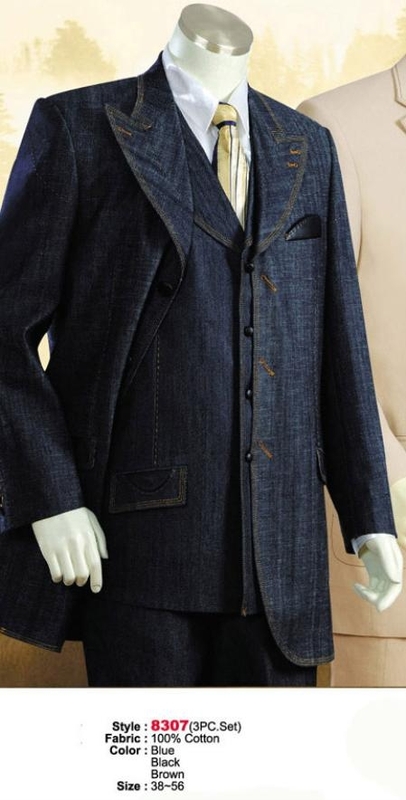 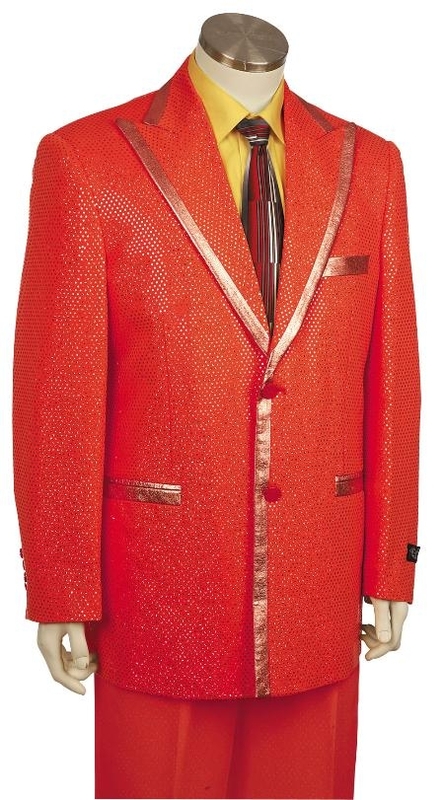 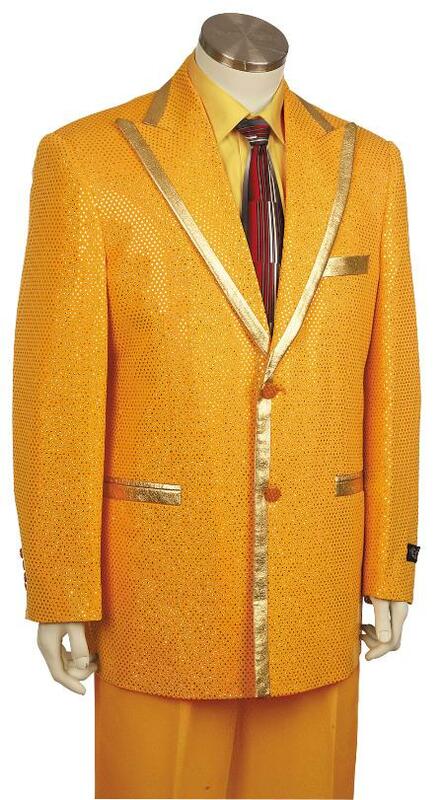 The suits have an inspiring history behind. 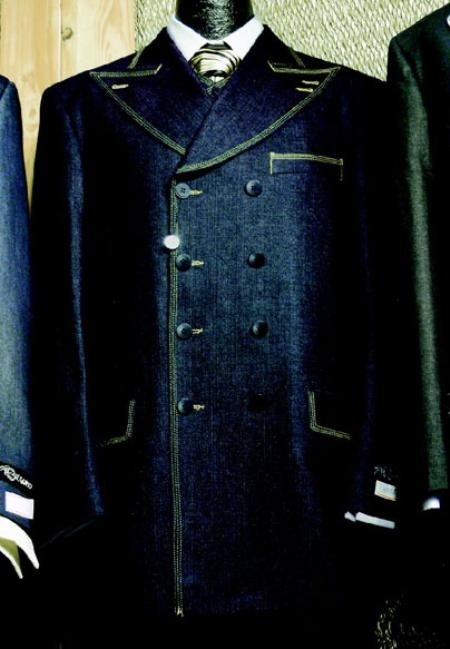 They were prohibited for they mirror the war time suits. 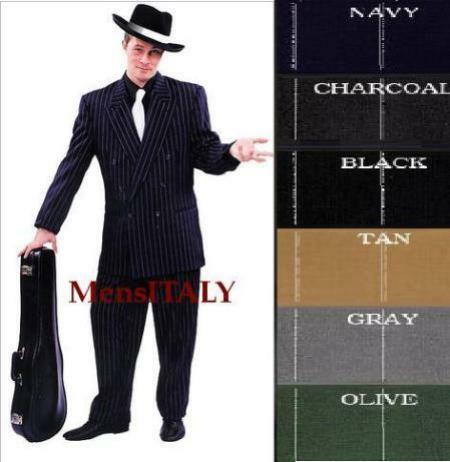 Despite the restrictions the Zoot suits are still here across the globe. 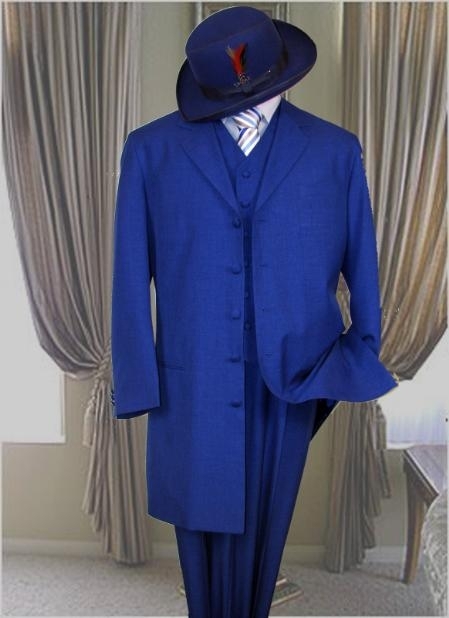 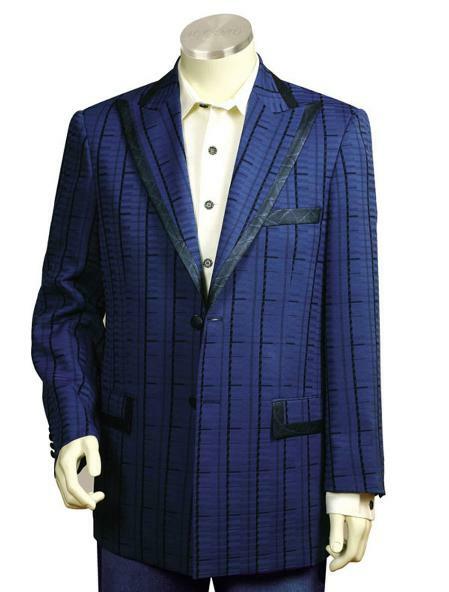 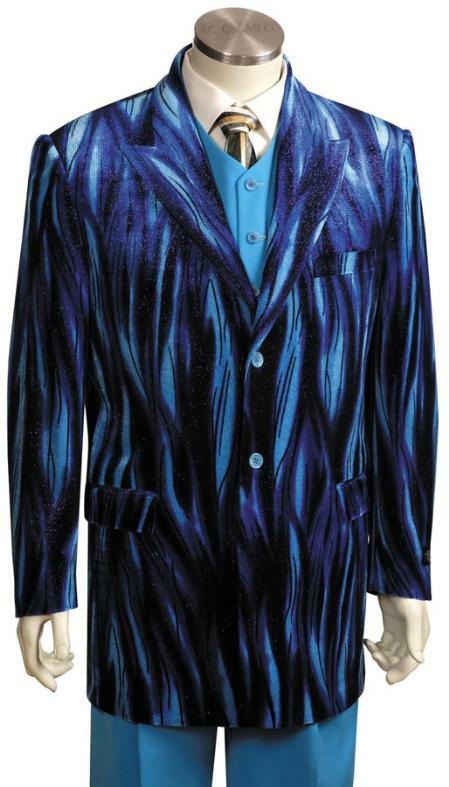 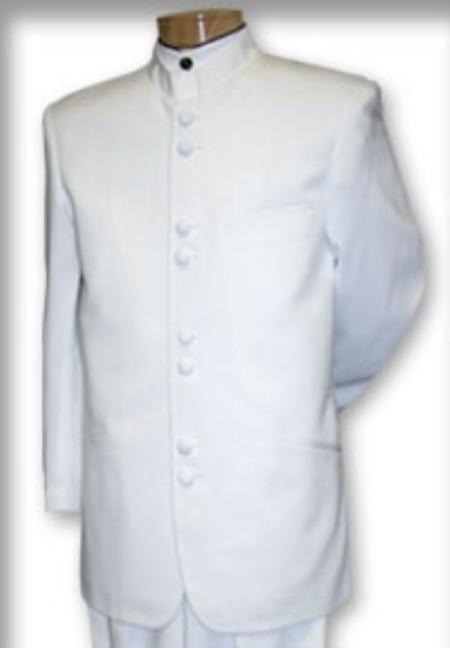 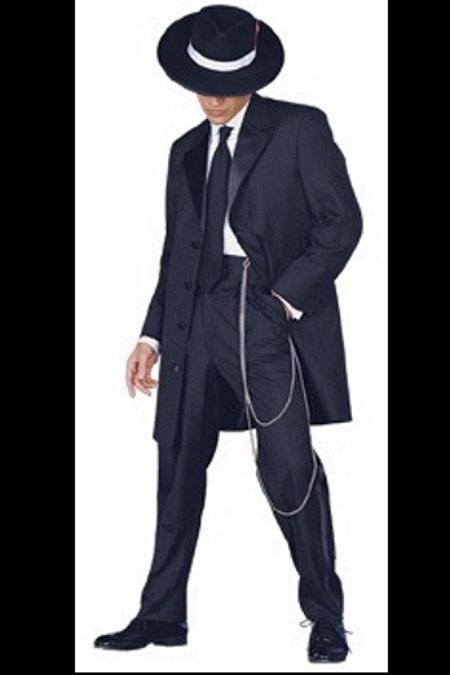 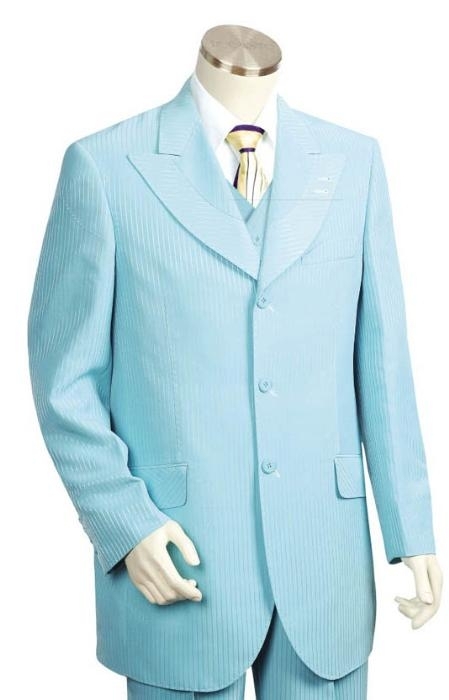 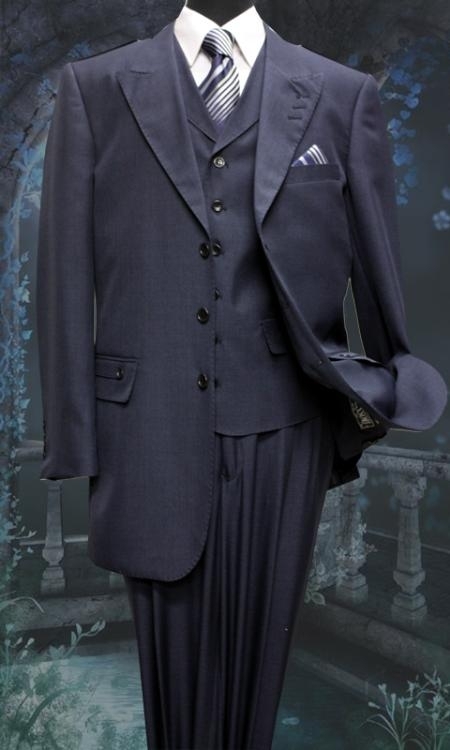 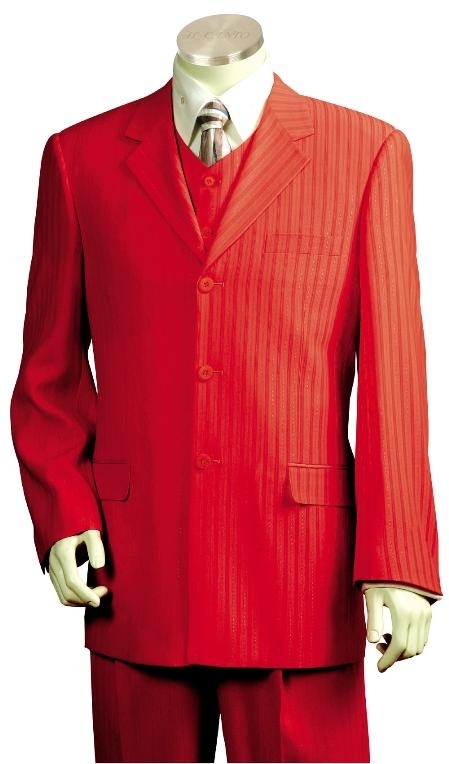 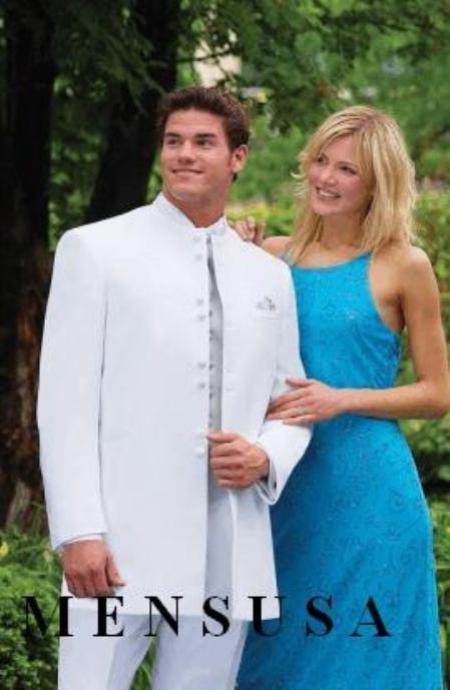 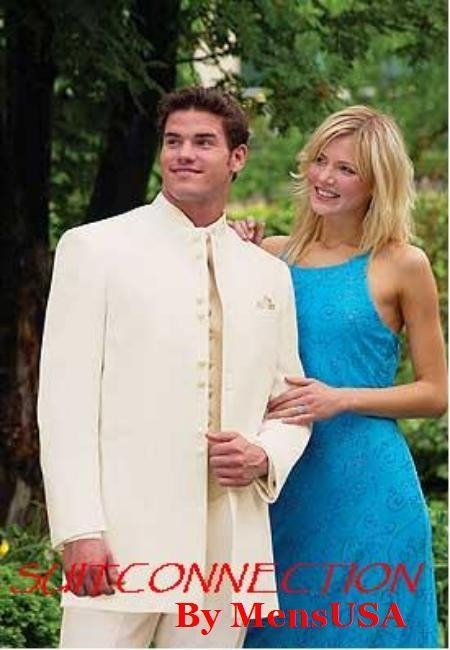 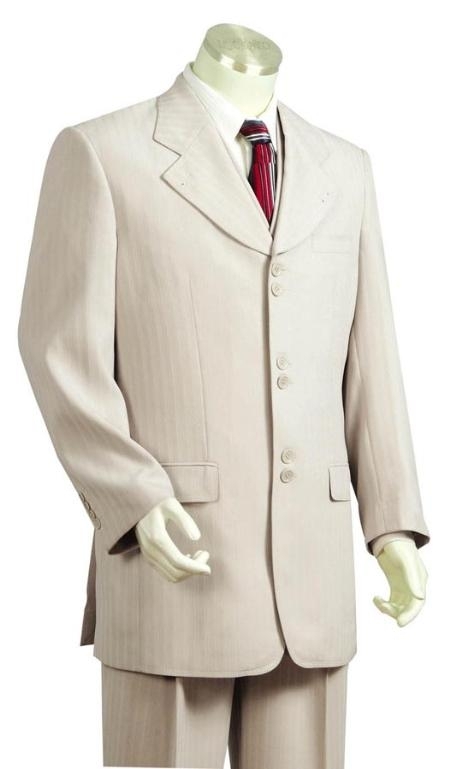 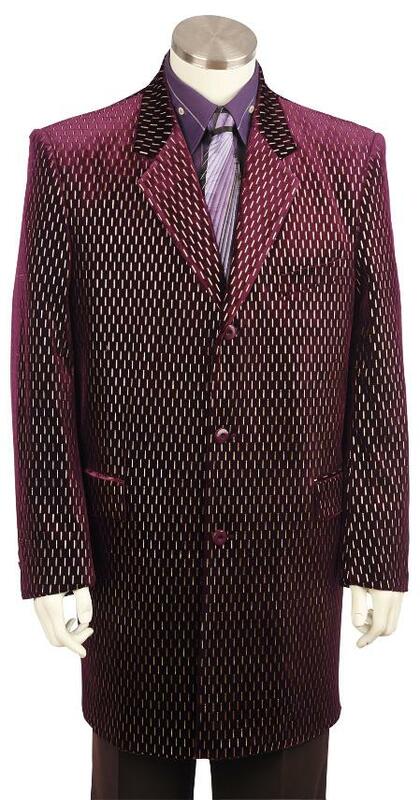 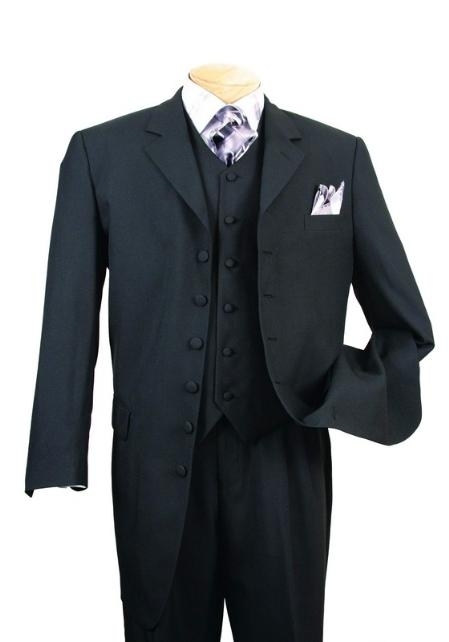 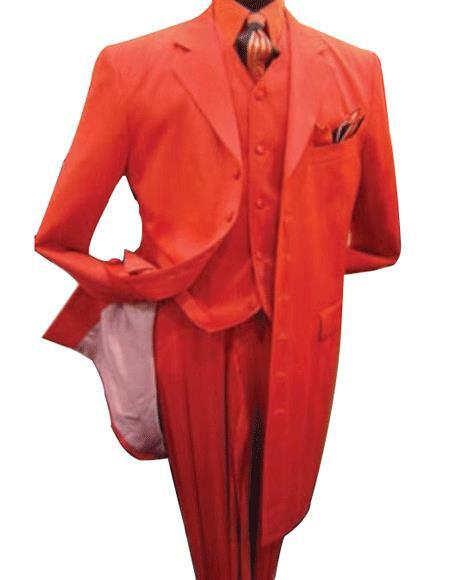 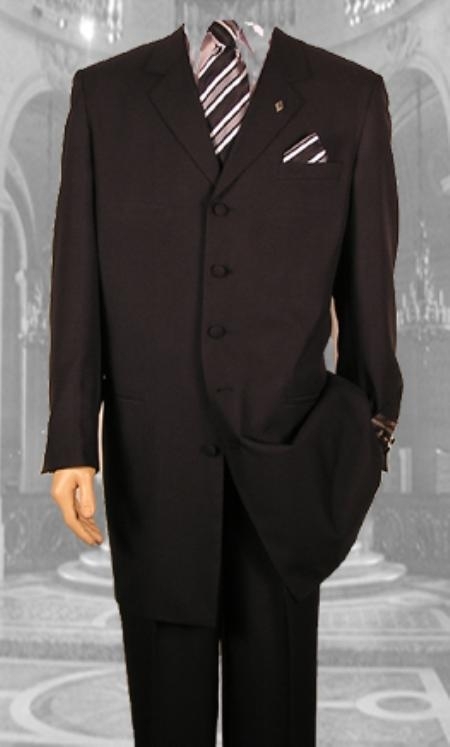 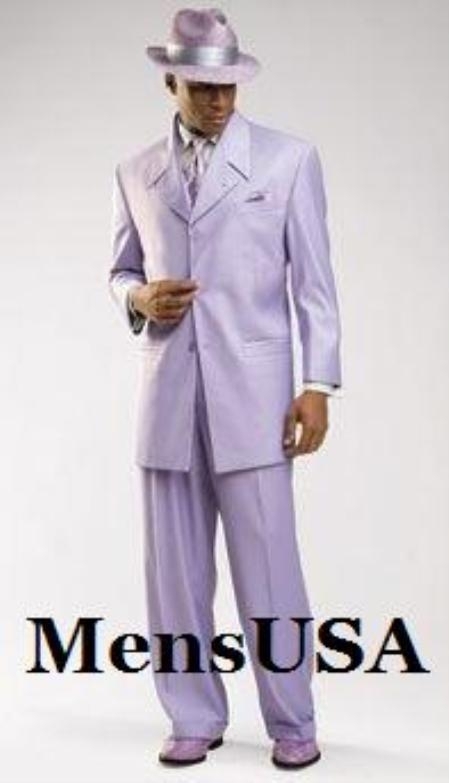 Fashionable Zoot suits in various colors were and are famous throughout the world and they require higher precision. 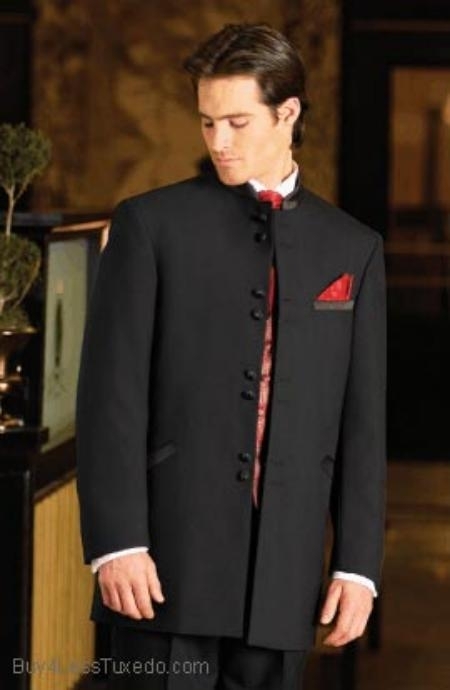 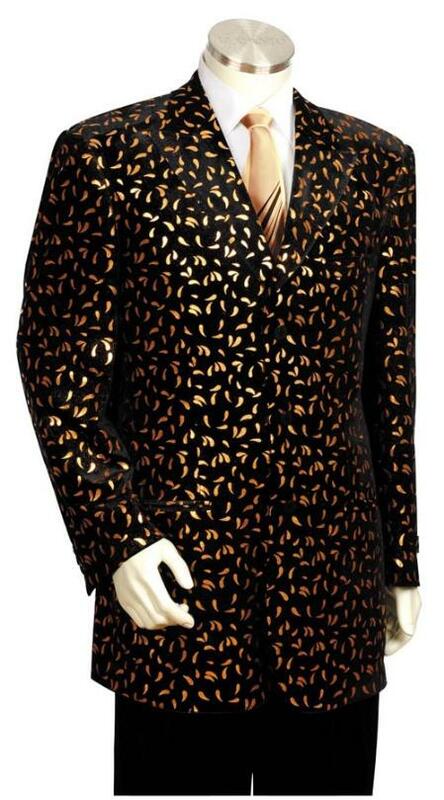 They are traditional dinner suits which suits the semiformal and informal occasions like parties and celebrations. 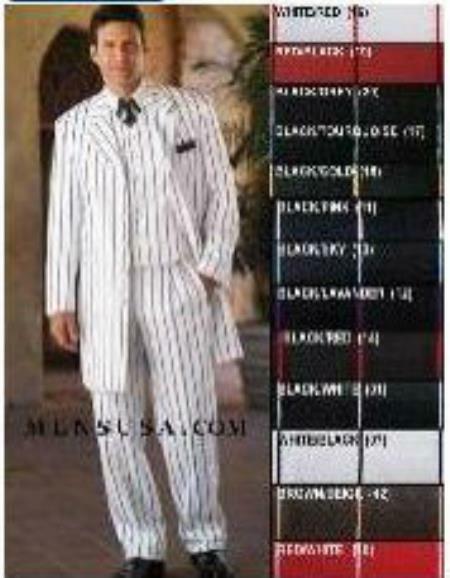 More information on Zoot suits are given below. 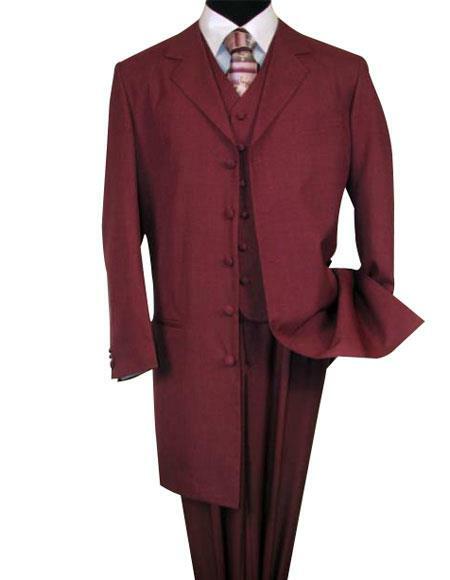 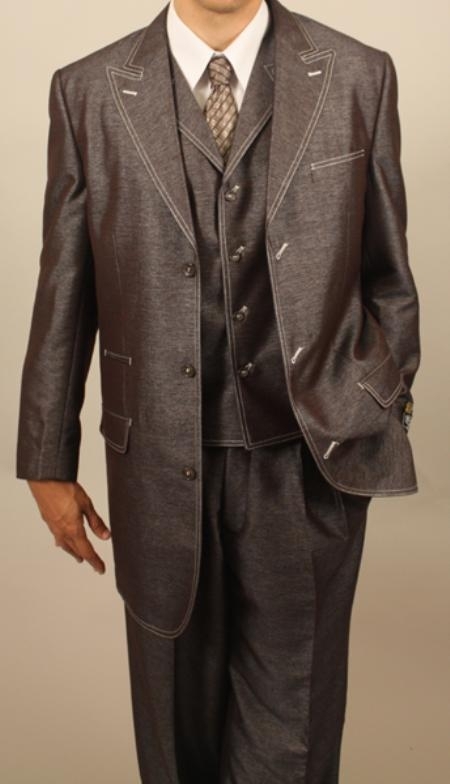 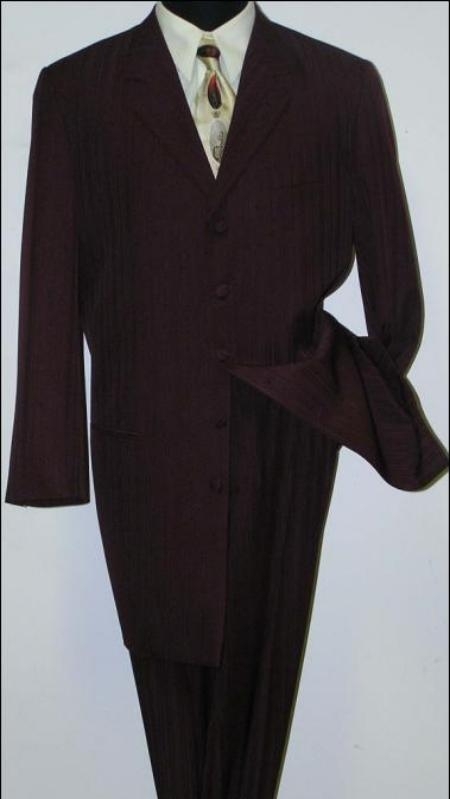 Zoot suits were primarily the fashion of African American youth which was closely connected to jazz culture. 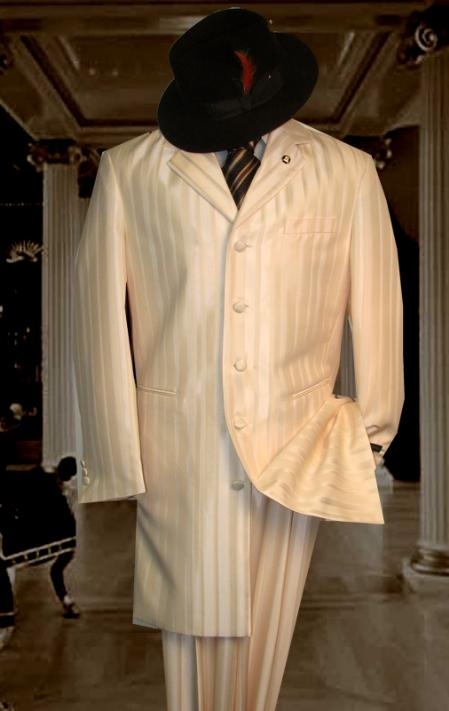 These suits were later on adopted by the Mexican American youth which then stayed on there forever till today. 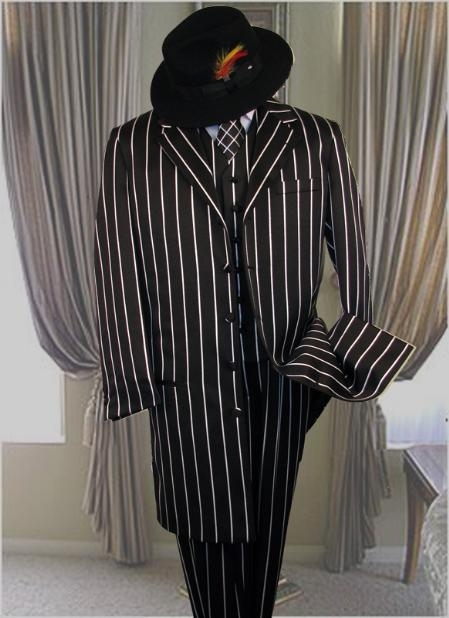 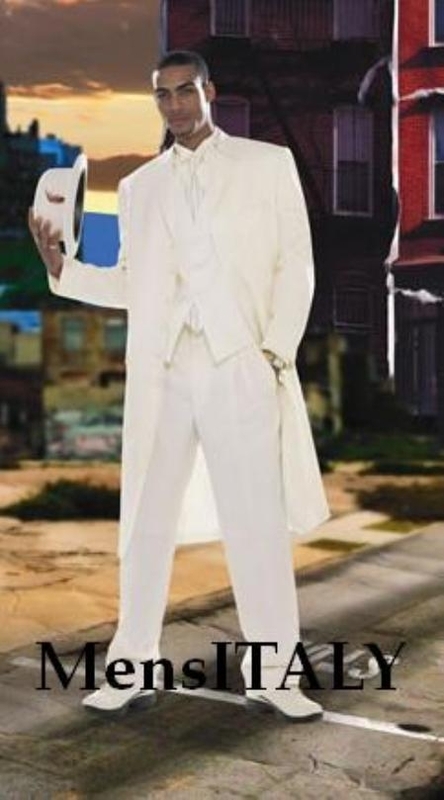 Zoot suits were always a symbol of disobedience which is very obvious from the extreme style that they exhibit. 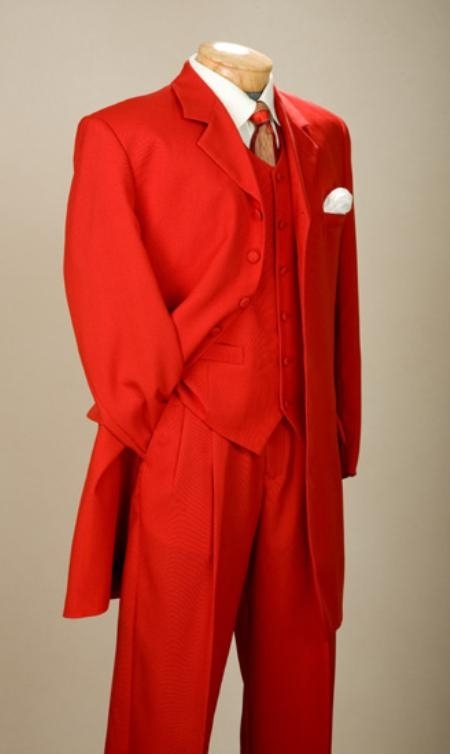 The exact origin of the Zoot suits is still unknown. 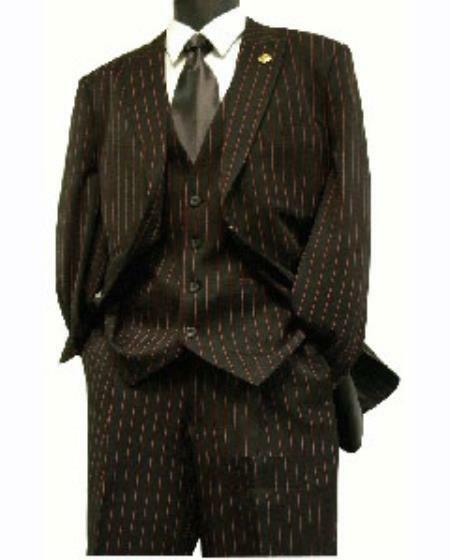 While some argue that it is African-American youth in 1940s, some make it point that it is Mexican American. 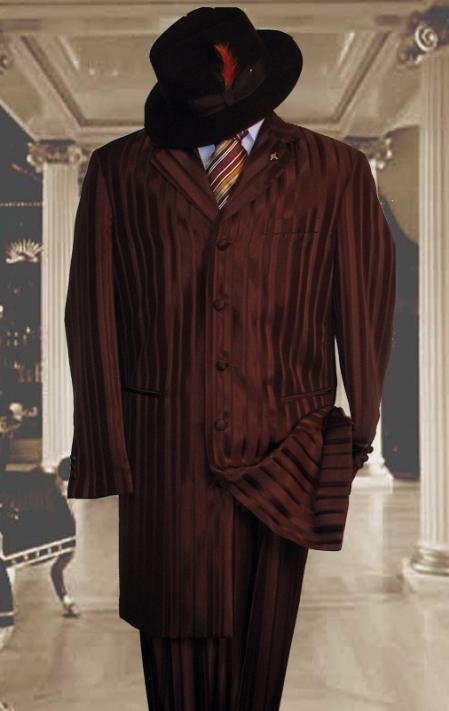 But it is pretty obvious that the roots were Mexican American, because of the extensive use by their youth in the history. 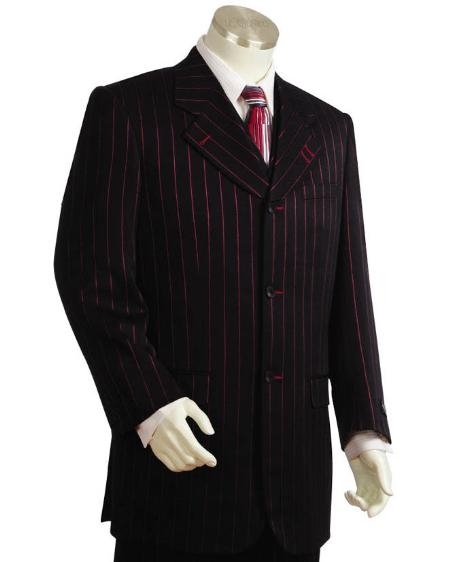 The amount used for the Zoot suits were exceeding the number which was used to be that time. 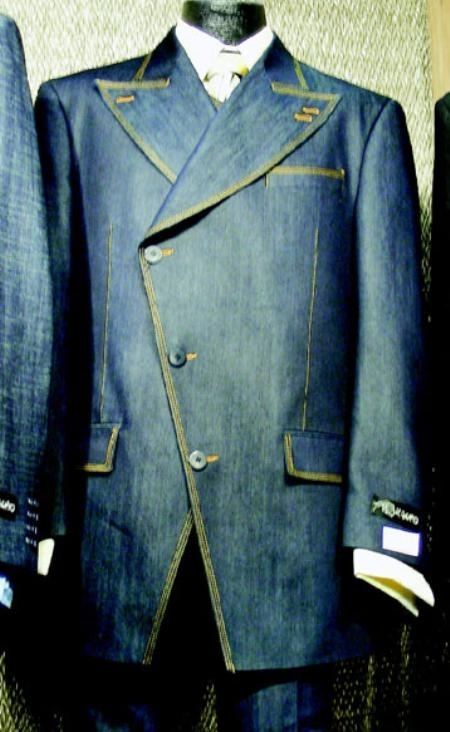 Wartime rules banned zoot suits for wasting the fabric. 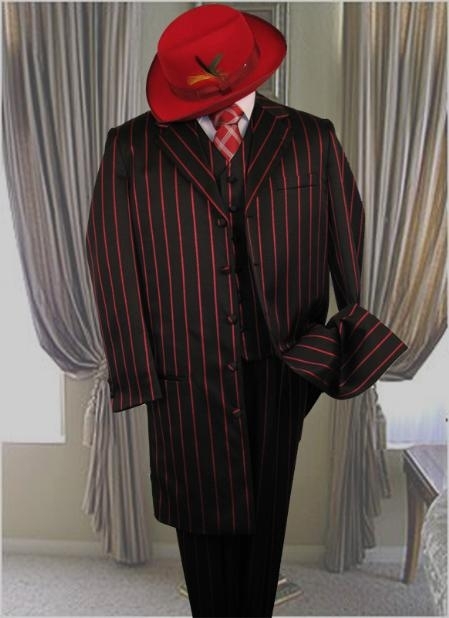 So those from Mexican-American origin wearing zoot suit as lazybones and ruffians. 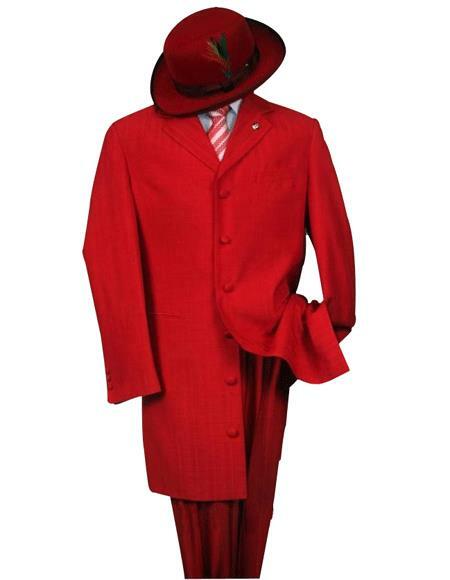 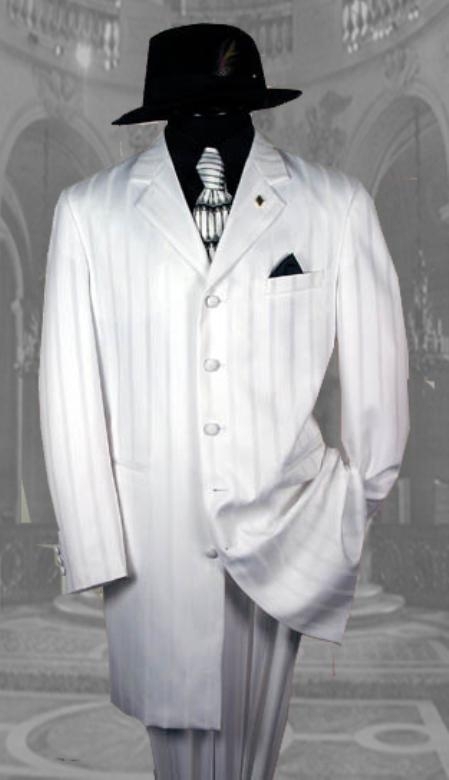 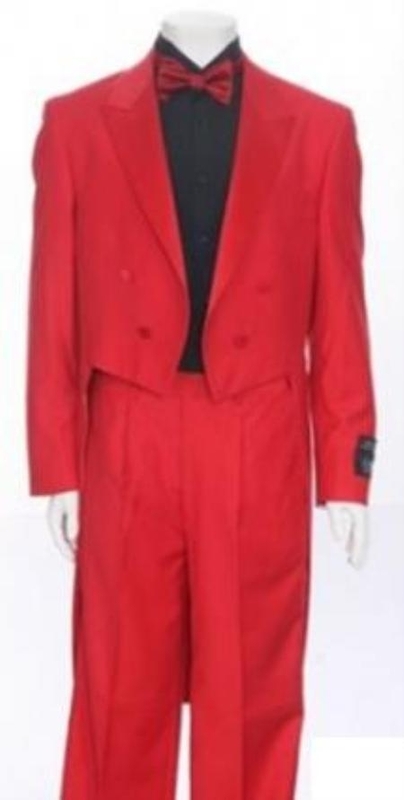 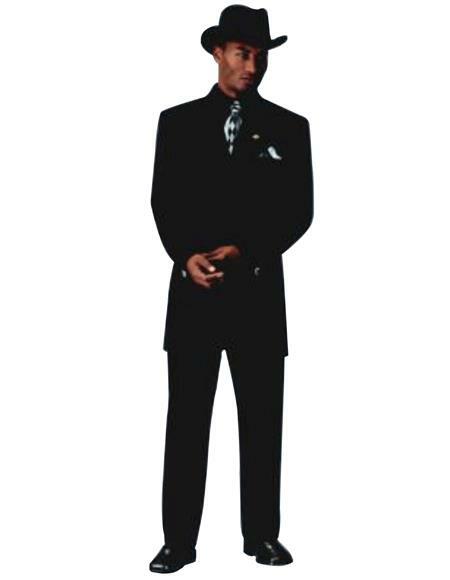 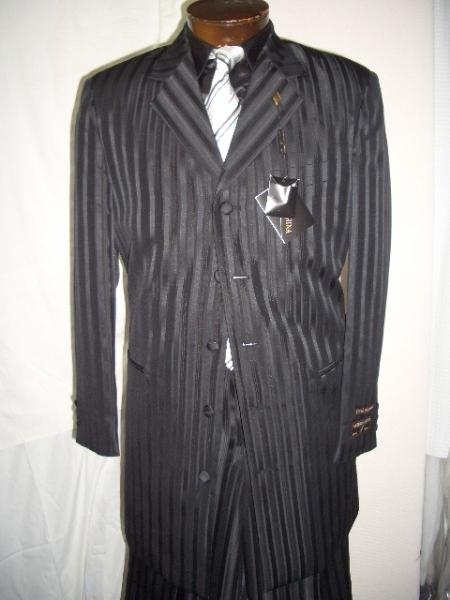 Zoot suit is a history and these suits have traveled across the times and established themselves as best entertainers these days. 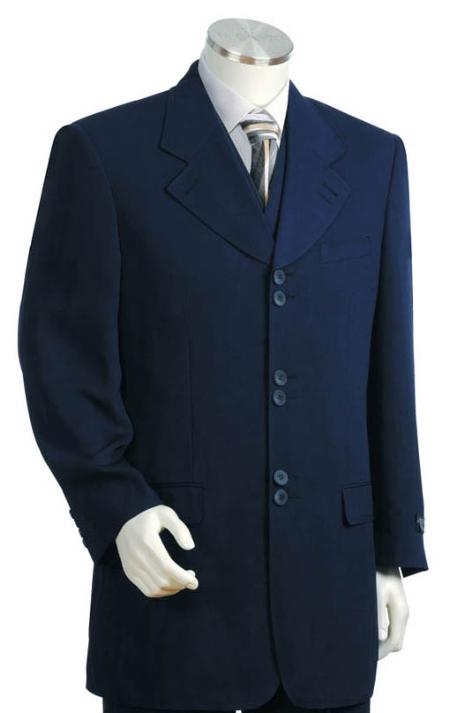 That is the secret of why Zoot suits are liked by every one of today, yesterday and tomorrow.